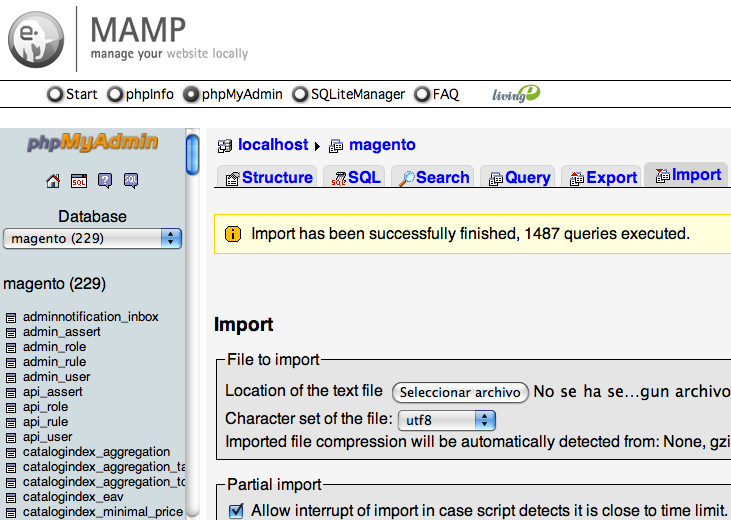 Today I'm going to install a Magento locally using MAMP PRO in my MacBook. Note: for Windows users use XAMPP. 2. Use the web browser to access to it. Verify it's working. 4. Create a database and optionally import Sample Data. 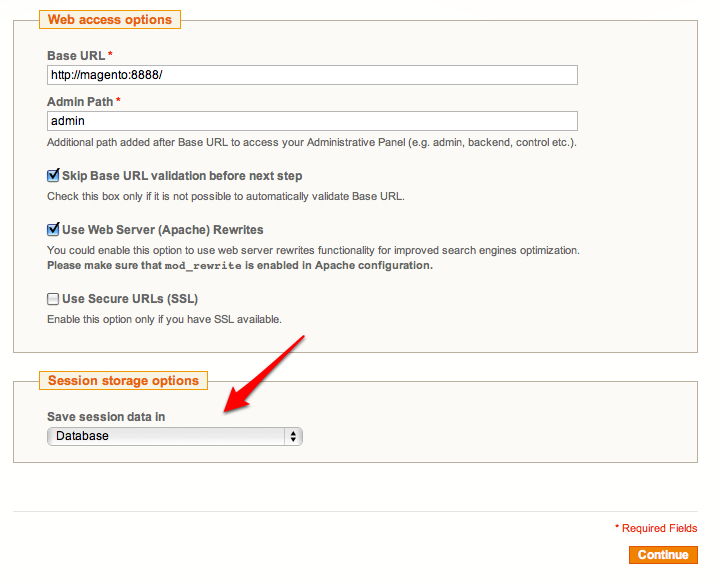 Maybe you will be not able to log in in your backend (admin). It happened to me. Follow this other post to solve the problem. 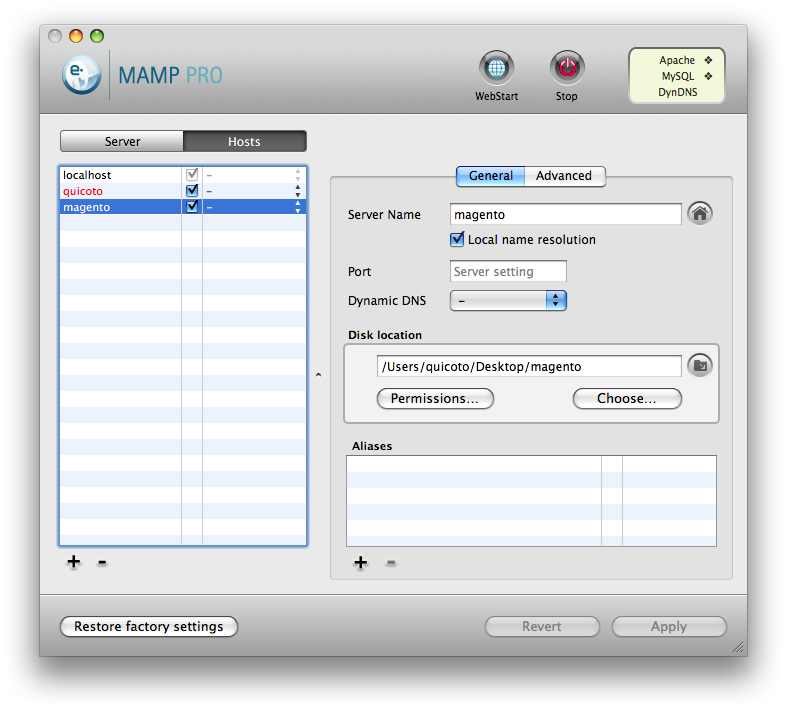 I’m using the latest version of Magenta 1.6.2.0 on running on MAMP Pro. 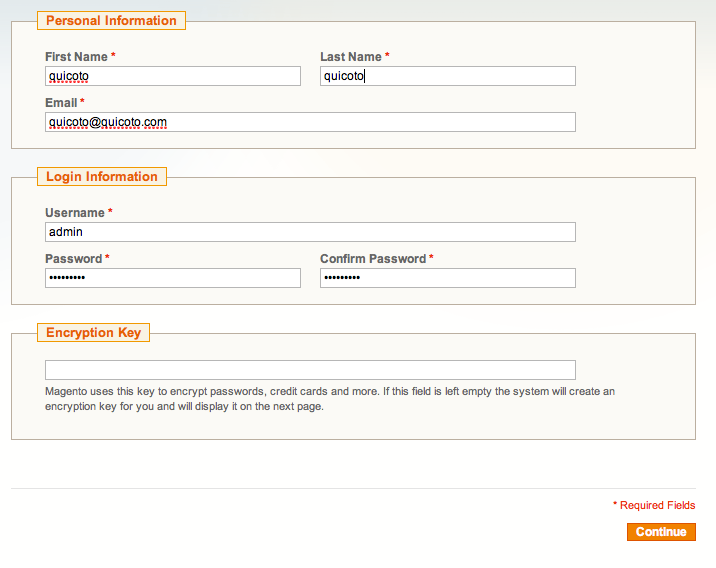 I tried to follow your instructions above even though i think it is on an older version of Magento. It was worth a shot as i feel like i’ve tried every option. You seem have a good knowledge of Magento/MAMP, do you know of the top of your head what i seem to be doing wrong? Any point in the right direction would be greatly appreciated. What does that report show? Use the report ID to find the filename. I just tried to install but it´s not working ! I don´t see the need for creating any extra environment ! I don´t see the wizard ! The php version perhaps? Missing modules? 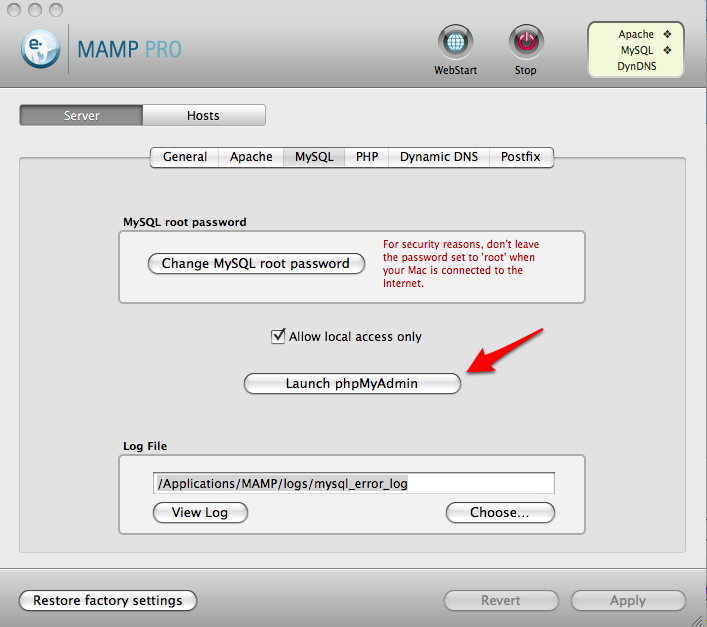 Can you check the enabled php modules in your MAMP? I’m trying to install the latest version of Magento 1.9.0.1 and zip file is around 34 Mb. In MAMP import fired you are allowed only to upload 32 Mb. How did you cope with this problem? You don’t have to upload anything. Just unzip de file and run the install wizard. 4.789.669 post views so far. This page needed 44 queries to load.